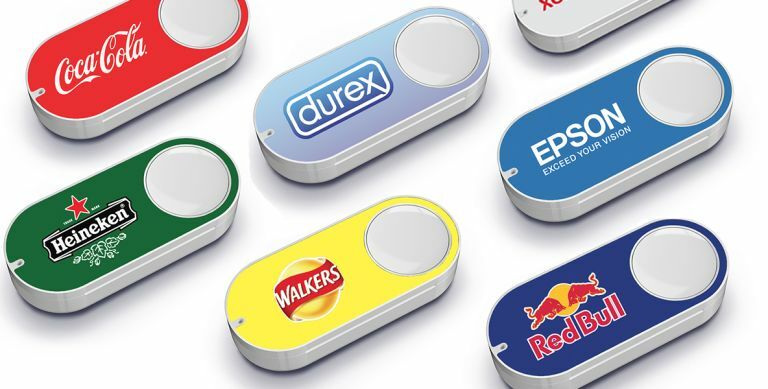 Just when you'd finally managed to stick Amazon Dash buttons throughout your house, allowing you to stock up up on beer and toilet toll without having to actually open Amazon's store, now comes the news that the buttons have been so successful, according to Amazon, that virtual buttons are now headed to its website and apps. The virtual Dash buttons are "exclusively for Prime members", so you're bang out of luck unless you're a subscriber, and they can be found both on the Amazon home page - automatically filling with your most ordered products - as well as on a dedicated Your Dash Buttons page. You can also add any new virtual Dash button manually from the product details page of any item with Prime shipping. Here at T3 we're unsure about quite how useful these new virtual Dash buttons will be in practice, as they seem to be a simple streamlining of Amazon's all ready super easy 1-Click ordering, however it's hard to argue about added functionality for, if you're a Prime member of course, free.